Looking for something to get you in the Halloween spirit? What’s better than a good zombie story? 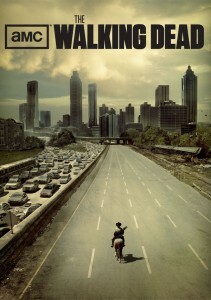 The Walking Dead has aired two seasons on AMC so far and the library owns both. Sheriff’s Deputy Rick Grimes wakes up from a coma after being shot on duty to discover that while he was asleep, the world has changed. At least half of the population has been wiped out. There’s no more government, no military, and none of the comforts of the world he remembers. And what’s more, all those people who have died have woken back up as bloodthirsty zombies. Rick must struggle to survive and find his family who he knows must still be alive. 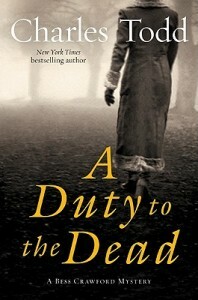 I’m not usually into scary or gory stuff, but this series is so compelling that I was immediately hooked. It reminds me of my all-time favorite show, Battlestar Galactica; at its heart, The Walking Dead is a drama about how people deal with the destruction of their world and figure out how to survive while still dealing with the issues of their past. If you can’t get your hand on a copy of the DVDs, the library also owns the graphic novels that the show is based on. Laguna Beach entrepreneurs Ben, a peaceful and charitable Buddhist, and his closest friend Chon, a former Navy SEAL and ex-mercenary, run a lucrative, homegrown industry, raising some of the best marijuana ever developed. They also share a one-of-a-kind love with the extraordinary beauty Ophelia. Life is idyllic in their Southern California town, until the Mexican Baja Cartel decides to move in and demands that the trio partners with them. Unrated. 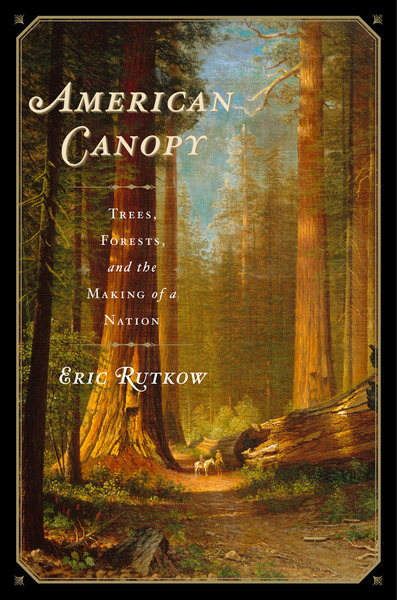 American Canopy is a fascinating and unique historical work that tells the remarkable story of the relationship between Americans and trees across the entire span of our nation’s history. The history of trees in America is no less remarkable than the history of the United States itself–from the majestic white pines of New England, coveted by the British Crown for use as masts in navy warships, to the orange groves of California, which lured settlers west. In fact, without the country’s vast forests and the hundreds of tree species they contained, there would have been no ships, docks, railroads, stockyards, wagons, barrels, furniture, newspapers, rifles, or firewood. No New York City, Miami, or Chicago. No Johnny Appleseed, Paul Bunyan, or Daniel Boone. America – if indeed it existed – would be a very different place without its millions of acres of trees. 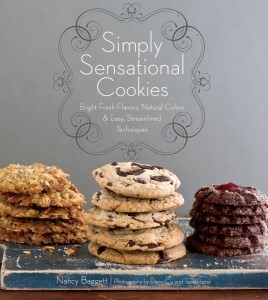 Sophisticated, contemporary cookie recipes from one of America′s most respected baking experts comes Simply Sensational Cookies, a delicious collection of cookie recipes that covers both the classics that mom used to make and modern, innovative ideas for the adventurous baker. Whether you′re a novice baker, an experienced cook, or a parent looking for new treats to try, this is the ideal cookbook for cookie-lovers, with more than 200 recipes ranging from fast and simple no-bake preparations to challenging projects for experienced bakers featuring more than 200 recipes, from traditional cookies like chocolate chip to sophisticated, savory cocktail nibbles with gorgeous and inspiring photography throughout. 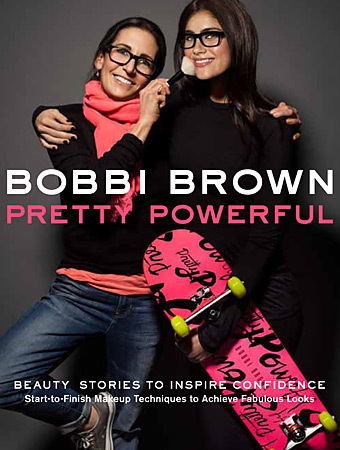 From Bobbi Brown, world-famous makeup artist, Pretty Powerful is a new kind of makeup manual that starts with who you are, rather than how you look. If the slowly lengthening nights and cooling winds have you longing for the perfect title to take with you under the covers, check out any one of these lush, engrossing novels. 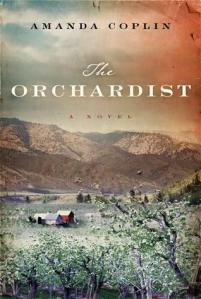 In Amanda Coplin’s dense debut novel The Orchardist, an orchard farmer called Talmadge has been tending the same grove of fruit trees in the foothills of the Cascades for half a century. His life is changed forever by the appearance of two young sisters and the violent men who trail them. This turn-of-the-century America is as wild as it can be: a nation where solitude is genuine and there truly are places that the law just doesn’t reach. The Crimson Petal and the White offers a lurid, intoxicating look at the oft-visited streetwalkers, orphans, and gentle ladies of Victorian England. From the high to the low, the people who make up this fabled society are brought together through the dreams of a surprisingly well-read young prostitute named Sugar. Author Michael Faber invokes the gas-lit ambiance of that era but tinges his narrative with an irresistible modernity that makes this novel unique. Margaret Atwood is my favorite author. 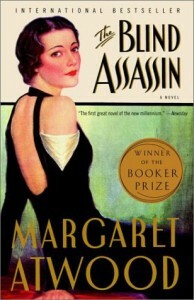 You probably know her for her famous dystopian masterpiece The Handmaid’s Tale, but forget all about that and read The Blind Assassin instead. In this Booker Prize winner, Atwood traces the history of two sisters: Laura Chase, a novelist who dies mysteriously in her twenties, and Iris Chase, who recounts their story as an octegenarian. There is a novel within this novel, written by Laura; within Laura’s novel, there’s a novel within a novel within a novel: a science fiction tale called “The Blind Assassin” as told to Laura by her lover. It sounds impossibly convoluted, but it just works – Atwood’s genius isn’t just plotting, but stunning language: years later, sentences from this gorgeous book will still be rattling around in your brain. It’s unforgettable. This month is all about pumpkin lattes, Halloween costumes, and vibrant fall leaves, but it’s also when crafty people start looking ahead to the winter holidays. If you’re planning to create or make gifts by hand this year, now is the time to get cracking! Additionally, the Christmas and winter themed books that will be in short supply after Thanksgiving are abundant in October, so you are much more likely to find something inspiring when you stop by DPL. The Art of Gift Wrapping: No matter what’s inside the package, thoughtful gift wrapping always makes it much more special. Instead of last-resort gift bags and tissue paper, check out this book for ideas and detailed instructions on innovative and lovely gift wrapping techniques. Classic Crafts and Recipes for the Holidays: For timeless and sophisticated (and decidedly not “beginner”) DIY decorating, Martha Stewart’s books are the way to go. This particular one includes directions for some stunning outdoor-only ice decorations as well as decadent holiday recipes and some very creative uses for velvet. Knitted Gifts and Holiday Knits each include the instructions for quite a few lovely knitting projects that are sure to please anyone on your gift list, from Christmas stockings to baby booties, cable-knit hats and mittens and decorative ornaments. All projects include photos and patterns. Easy for experienced knitters, but not out of reach for beginners either. If you said none of the above, you are correct! But if you’re in the majority of people who are both angry and frustrated with conflicting health information, Robert Davis steps in here to help. 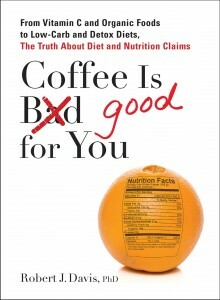 The introduction of his book, Coffee Is Good For You, breaks down why there’s so much confusion as to what is good or bad for you, then goes on to explain how the scientific method fits into nutrition studies. For example, different kinds of studies are more reliable than others, and you should always look at who’s funding the studies, and whether or not they had any say as to what goes on in them. A lot of people skip over the introduction of most books, but this one is definitely worth your time! 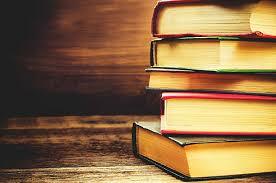 After the introduction, we get to the meat of the book. Each chapter is divided into categories of nutrition claims (fats, sugars, diets, etc), then broken down further into a specific claim, which is marked as yes, no, half-true or inconclusive, followed by the findings of pertinent studies. If this all sounds very dry, don’t worry: Davis is extremely good at dropping bits of trivia and humor to keep you interested in what’s being said. Once you’ve read Coffee Is Good For You, just make sure you can soften your know-it-all response of, “Actually…” when someone inevitably recites scraps of flawed information.